This year, millions of vulnerable people in Gaza and Syria including children in need, the disabled, elderly and infirm, face the very real risk of dying a preventable death due to extreme winter temperatures. Unlike previous years in Gaza were some sort of shelter was provided to the vulnerable in their homes, in light of the 2014 conflict, parents helplessly try to protect their children from the elements whilst forced to live outdoors as temperatures continue to drop and living conditions depreciate further as days go by. In fact, as confirmed by the Gaza Ministry Of Health, 5 children died in January 2015 as they froze to death contracting life-threatening illnesses such as hypothermia, the youngest of them only 5 months old and the oldest around 11-12 years old. This is one of the largest death-tols of children losing their lives because of the cold in Gaza in recent memory. In Syria, as the Syrian refugee crisis rages on, the UN’s Children Fund estimates around 7 million internally displaced children are in urgent need of food, clothing, blankets and other winter essentials before the winter cold hits. However, in January 2015 alone, at least 6 children died because of the winter cold according to Unicef though these figures are thought to be highly under-reported as it is unclear just how many children are dying because of temperature or weather related conditions. Sometimes, it is not direct exposure to freezing conditions which results in the death of children but the consequence of appalling weather conditions. In January 2015, a Father and his 2 sons aged 5 and 17 lost their lives due to a fire caused by an alternative source of fuel that had to be used due to the winter cold. Out of the 11 million Syrian refugees displaced around the world in Turkey, Jordan, Lebanon, in Syria itself and now also in Europe, considering over half of them are children under the age of 12, emergency winter essentials must be provided to prevent the death-tol caused by the winter rising this year. Winter Appeal Please support Medical Relief International’s emergency winter campaign providing hot food, clothing, blankets and other necessary supplies to both Syrian and Gazan refugees and people in need regardless of where they are geographically located.  (MRI), with the support of our partners, is able to provide supplies directly inside Gaza as well as in the Syrian refugee camps in Turkey, Jordan, Lebanon and Europe. Please donate whatever you can towards our winter emergency fund and let’s save lives together!